Since cameras become an electronic device, the changes are enormous. Basically, we are using a mini computer that allows the engineers to program anything that is thinkable. In a way we are all winning because it means that cameras will be better, cutting some rough edges quickly to be better and better. Though it will come with a cost on the financial side of it. Cameras will devaluate quite considerably in a short period of time, no matter the system they are using. Although it is always a joy when we make our mind up and start searching for a new camera, for me it was really a need. At this point in my career, the tools became much less important then they were in the beginning. I always had a couple of bodies because when you're doing a job there's no margin for imponderables. A backup body is recommended. In my case, I sold a versatile Canon 6D and in my bag, it was only a specialized 5DS. While I hoped to migrate to another brand, with a full frame sensor, it would be a costly change. The investment made during the years of Canon L glass, and many accessories, was too big and would dictate a huge loss. The option was staying on the actual brand, or at best switch to Sony with an adapter. Doing the math, it dictated that a Sony A7 III plus a Metabones adapter would be in the same price range of a Canon EOS R, with the EF adapter included, in Europe. I asked many friends, read all the reviews, and saw all the videos possible. On the body side, the R convinced me more than the A7 III due to some facts: the upper LCD is a feature important its ergonomics (especially the handgrip), the use of the LP-E6N batteries since I have plenty of those. According to the reviews, the native adaptor for EF works flawlessly. Over five thousand AF points and fully articulated screen were also some appealing features. So my decision was made, I would be a proud owner of the first Canon mirrorless model! I'm one of those who evaluates his purchases by trying to make it as least emotional possible. The cerebral side of me told me that the 5D Mark IV would be a safer bet. Being dragged by our heart, or impulses isn't wise at all. In the short term, it will be stressful to be thinking that I could manage the situation from another angle. So instead of pulling the trigger and placing the pre-order, I rethink my real needs. That's generally the way to go when you have a doubt of this magnitude. You need to ask yourself which features will be the ones you really need. Don't enter into a hype or trend just because everyone tells you that is the "future today". It is your money, so the decision must be between within your budget and respecting a ratio cost/ effectiveness. .
First, let's face reality. Everything suggests that mirrorless is the future. The EVF capabilities, size/weight ratio, silent shutter, endless AF points, and other great features are deal breakers for many, even more with the unstoppable improvements of each new generation. Just think how good the Sony A7 series or Fuji models have become in such a short time. Still, they are not yet there, at least for my needs and way of using the gear. For me when you face challenging situations, a DSLR is still easier to use, especially in low light conditions. Today an optical viewfinder has still a slight advantage over EVF. Generally, an Electronic Viewfinder needs a strong contrast to make us perceive the dynamic range we are getting. On one hand, we have a great step ahead, seeing the overall image without having to look at the camera rear LCD, a gesture that characterizes the digital camera era. So here the key is just the need to get it in a more natural way and not much dependable of the maximum aperture of the lens you're using. Again, in my experience, I already see differences between the superb Fuji X-t1 EVF (my fun camera) and the X-t3. Another downside is the still limited offer of native lenses and accessories for the mirrorless bodies. If you are like me, collecting stuff for my EOS bodies over time, you'll see the differences on the accessories side. Naturally, it will be solved in the next year or two. We can solve the lens situation with the excellent Canon native adapter. As far as I know, it works perfectly, even with the EF-S mount lenses. Then I realize a potential problem… will give a perfect sealing to the body? My previous EOS bodies always performed flawlessly when dealing with the elements. No matter how harsh the conditions were, paired with L glass I had zero issues. So, a personal concern is always how well my camera is built and its level of sealing. I prefer having the best possible, instead of some new feature I would never use. Why do I lean so much to that side? Curiously I use the same principle when buying watches. A diver will last much more than a regular model, due to the use of gaskets. Humidity is the worst thing for our gear. Even if the furthest we go is to the beach or the coffee shop terrace. This information after the teardown they made of this fine camera was illuminating to me. It helped me make my mind about my next purchase. When you hold a camera for long periods of time you need something substantial that really feels good in the hand. Due to the continuous use of the same layout during the years, the EOS series become like a natural extension of my hands. The controls are used without even thinking, or with the need of entering on endless menu/ submenu. Also, love the response that each button has. By including the touchscreen, the experience is superb. I would just love if it swiveled at least. Basically, the DSLR bodies have better ergonomics. 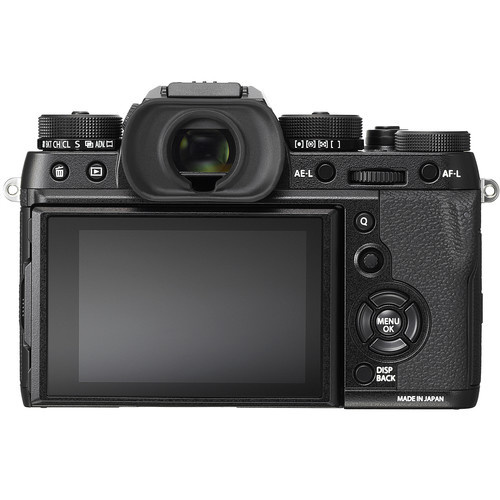 The mirrorless systems, due to the less bulky and smaller bodies have fewer and smaller buttons. If you have bigger hands it's not as comfy and fast as you would like. Another argument in favor of a bigger body is that it feels more balanced when using long/heavy lenses. Getting a balanced body is important. Other downsides are the battery life, still shorter, a need of a better autofocus system especially for fast-moving subjects, and a larger buffer. The last is compensated by the lightning fast shutter of many mirrorless models. Now we must talk about the absence of two card slots on the Canon and Nikon. On my side, I really cannot live with only one since I had a card slot malfunction during an important job. Luckily I work carefully and did not lose the images. Since that day I see that system as a life saver. One feature I love back then in my 7D was the joystick. What a pleasure to use while selecting my AF points manually, a technique I use about in 90% of my shooting. The R doesn't have it. We can work around by using the customizable M-Fn Bar or the touchscreen. For now, I prefer having a physically dedicated joystick. But I guess it could be just a matter of being used to it. Nowadays the vast majority of cameras on the market deliver a fantastic quality, no matter the size sensor or price. Even mobile phones have usable stills and videos. The difference here could be due to technical differences between both systems. The mirrorless can suffer from the Color Dot Pattern "syndrome". When using smaller apertures facing the sun, some color pattern grid can occur. On the Canon side, some users are experiencing banding when pushing the shadow areas around 5 stops, with luminance values around zero. This is a situation that needs further work, though it doesn't feel like a deal breaker to me. I also guess that some firmware can solve that problem. We live in a fascinating era. I recall 30 years ago when my parents had to wait for a week to see the printed photos of the family trip. Then we reviewed it on the back LCD after pressing the shutter. It was magic! Now we can see it without removing the eye from the viewfinder. I know that in a near future it will be time to abandon ship. I choose DSLRs because I need a quick AF for some jobs, dual card slots, rugged construction, a sealed body with no interference of an adapter. Also, I'm not in a position yet to sell all my L glass and buy the expensive RF mount lenses, if I consider continuing with the same brand. As some users told me, Canon needs to update the face detection and eye-AF, because for now its only available in wide AF mode. In a word I need my tools to focus and meter like I expect, and survive in a harsh environment, being quick and reliable. Maybe this sort of features will all appear on the Pro EOS R and the subsequent generations. On this point, there's also an opportunity. I constantly see good deals from users that are switching systems. So look at the second-hand market and you might be pleased. Why not grab a stunning camera with a mirror (or some lenses) for a great price? So think wisely if you need to move to a new camera and if so, ask yourself the real advantages you'll get when migrating to a new system. Personally, I will continue for a while using the "old school" DSLR until the day comes. As we heard and said a thousand times, the final work depends much more on the photographer than the gear. At least for me and many more, the DSLR is not dead yet! What do you think about this subject, DSLR is already dead for you? Share your thoughts on the comments below. I agree. The A7III, R, and Z6 are perfect for amateurs. For Pros, Sony has other beasts as the A9 or even the A7RIII or the low light champion S.
Well, I was referring to mirrorless cameras as a whole. However appropriate any camera, DSLR or MILC, is for a professional, depends on each individual's needs, regardless what anyone else (photographer or manufacturer) thinks. If I had money to burn, I'd buy a mirrorless kit. It would be a decent travel camera but for the type of work I do, I won't be switching off my DSLR anytime in the foreseeable future. The weaker battery life and the lack of lenses just doesn't convince me there's a need. I'll limp along with a D810 until it breaks and then maybe pick up a D850. Even that upgrade hasn't convinced me yet. I agree with you. As a travel camera, in particular, smaller mirrorless models as the Fuji or Olympus are perfect. They will live as long as people can charge the batteries. That is my guess, and I'm sticking to it. I have a Canon 6d and a Panasonic GH4. The GH4 is far more useful for bird photography in my garden owing to the extremely quiet electronic shutter. The 6d is very clunky and scares the birds away. I leave the GH4 within a couple of meters of a birdbath all day using an IR trigger and get hundreds of good action shots. I use a grip for a second battery and it lasts all day. For that use the GH4 is perfect! I use my X-t2 while walking in my town and I feel the same, quite inconspicuous. DSLRs are dead when they stop making new ones. 5-10 years. Just like view cameras, film SLRs, amd rangefinders. Wait, those are all still made! If DSLRs are ever going out if priduction, it will take a long, long time. 5 years is barely ling enough to see EOS R and Nikon Z built into competitive systems... if they both make it. 5-10 years. Say good bye. Yes. I'm one of those people who came to photography around the time Mirrorless started to take off. With no legacy bias and having tried both it's no competition, DSLRs are quaint and old fashioned and I honestly can't see the attraction. That´s an interesting approach. As happened to many, that started when digital came out, the film cameras have no appeal at all for them. The legacy question is surely a point here. Are DLSR Cameras Already Dead? Another 'dead slr' article... Did not read it and will not read it. DSLRs are dead if you're a Canon shooter, because Canon dropped the ball so massively with the 6D2, and hasn't updated the 5Ds/R yet to truly compete with the dynamic range and other features of the A7R3. If you're a Nikon shooter, there are plenty of DSLRs to choose from that compete very well with both Nikon's Z-series mirrorless bodies, and Sony and Canon mirrorless options. Look, some people /like/ an optical viewfinder. Maybe they're crazy or just plain stubborn, but they like optical viewfinders. When you /want/ an optical viewfinder, things change because the WYSIWYG of an EVF is almost the only thing that is an exclusive benefit to a mirrorless system. Most of the truly high-end lenses (Sony GM 24-70 and 70-200, for example) are just as heavy as their DSLR competition. And most of the comparable (physical build quality, not specs) bodies are almost the same size/weight too. (Meaning, the build quality of an A7R3 compares just as much with a D750 or 6D as it does with a D850 or 5D4) DSLRs have IBIS, just ask Pentax. 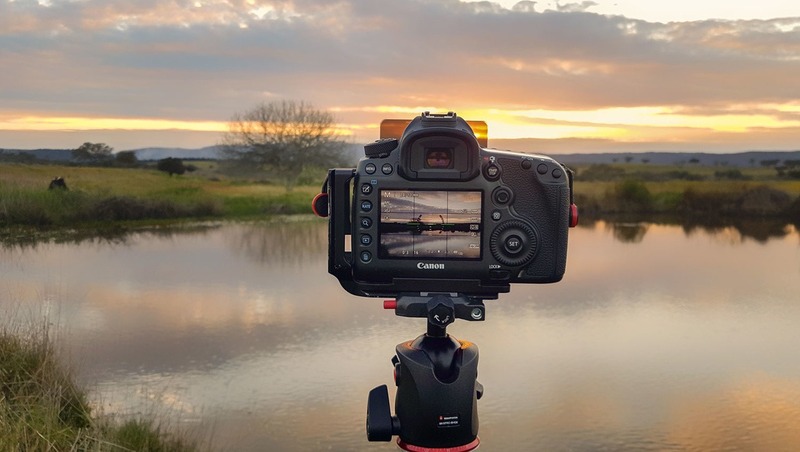 DSLRs can also have great 4K video, great live view AF, and almost everything else that is possible in live view just as easily on a DSLR as it is with a MILC. So, the question of whether or not DSLRs are already dead comes down to more than just image quality or handling. It's about HOW people actually use a camera, and what they're looking to get out of their photography experience. Exactly, that's my perspective. Depending on your style and needs, one or the other will fit certainly. I want to get my first full frame and had been waiting long for the canon mirrorless, because I wanted something to hike backpack with and was under the illusion that mirrorless was the way to so. But it's not that simple. When it came out I went to see a demonstration and workshop by canon. Many 5d dlsr owners there. What I discovered was yes it is a smaller body but not so much lighter and to put good glass on it meant the weight differential was minimal. So I am still on the fence about this. I may just buy a 6d (6dii seems to be inferior to the 6d) and for my backpacking maybe get the xt3. Although A7iii looks interesting. Maybe someone can jump in here with advice? The EOS R was made as a transitional camera for the DSLR owners and to attract potential newbies that love the brand. As you say, it's a little bulkier then it appears on the images. Remember that after all is a Full Frame, so the lenses need to be according to that 35mm sensor. If your main concern is about weight and size, the Fuji X-t3 could be a great choice. WIth many Fujinon lenses, the overall size is perfect for carrying around and on keep it on a backpack while hiking. The 6dII is also a wonderful camera that delivers a good image quality. On this latter try to search for the Black Friday rebates, or even a refurbished one. I recently sold my mirrorless camera and lenses to focus on my Nikon DSLR system. 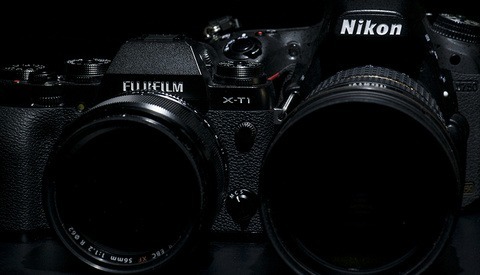 I already have a significant investment in F-mount lenses and Nikon cameras both film and digital. I was attacked to the smaller mirrorless form factor and what I thought was great picture quality for the price. However, I am more satisfied with the results from my DSLR. For me size is not a concern. When I don't want to or can't carry my larger DSLR I have a camera in my pocket that produces photos similar to the quality of my mirrorless camera. These are images I wish to capture for Instagram or family "snapshots". When I want to create art, my DSLR does the job and does it well. I know conventional wisdom is that mirrorless is driven by form factor, but I wonder if phone cameras are not getting good enough to start cutting into this business just as it has done with the point-and-shoot. Well, you synthesized quite clearly why you did that option. 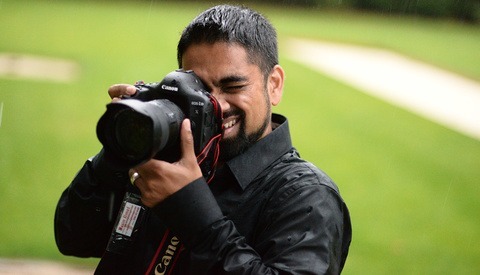 In my case, the DSLR is the chosen one for pro work and the Fuji for fun moments. You talk about features you would probably never use. How do you know? Do not be over conservative and only use what has been around for ages. Get out of your comfortzone and try something new. I found out that some features can be very handy as eye-focus, af points all over the frame and evf's will make you see the photo as it will turn out. I switched to evf's some 6 years ago because I was tired of chimping all the time. Glasses off, take picture, glasses on and chimp, glasses off, take another picture. I don't like big cameras because I suffer from arthrosis in the fingers and shoulders. Heavy big cameras will get painful very quickly. Your motive are not valid for everybody. You are on the cautious side, not want to take risk by trying something new. Some people are however more adventorous. I love EVF's and the benefits we can get from it. In fact, my fun moments are made generally with a Fuji X-t2, as I wrote in the article. The thing is that I need a rugged camera, with the best weather sealing possible. Mirrorless cameras are not at that point yet, as Mr. Cicala told us. Also, since I have big hands, I feel more comfortable with a gripped 5d IV, or even the 1dXII. I admit I´m not that adventurous, mainly because part of my income comes from professional work. I can't have a camera with an only sd slot, or with adapters. Finally, of course, my motives are not valid for everyone, that's one of my points. To each his own! One thing many occult when they talk about the 'dead dSLR', is that MILC sensor tech is the same found in nowadays dSLR. Actually, both system are using the same old and exhausted CMOS + Bayer CFA. SONY managed to push BSI and Aptina in latest sensors, with nice results but nothing to call 'a revolution'. Just a nice improvment, but nothing that put 6 years old tech to shame until you are wrongly using a photocamera as a moviecam. Since the raise of the Nikon D800, and Alpha 7R, we have seen nothing but a speed race for faster sensor readout, with better noise control as a collateral welcome damage. No dynamic range progress in the FX sensor size. Nor better accutance nor real RGB photosites. But just imagine what could happen if tomorrow, an industrial release a new sensor substract that is fast enough for 5-10 fps but is unable to sustain a FHD stream readout. That new sensor tech could deliver better DR and more accutance, but could not be used as a moviecam for years. Only usable camera would be a SLR with a mirrorbox. Do this tech be prehistoric or futuristic ? That's a really great perspective you bring to this discussion. After all, this could be the same case that's happening in the automotive industry. Are the hybrids and the electric cars the real future? Thanks a lot for your insightful input! No. Millions of them are, and will continue to be, in use all over the world. And when I upgrade next year, it will be to a DSLR. NIce! We need to keep the DSLR flame alive! 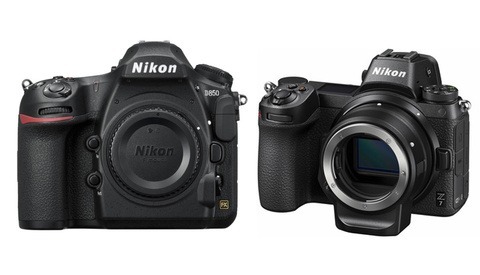 The problems start when and if those DSLR updates become fewer and weaker. Sony's A-Mount shows the template. Sony went all in, deciding mirrorless and E-Mount was the key to becoming the top ILC brand by 2021. They have already made it as the top full frame company in the USA, even though they're still well behind Canon and Nikon on lenses. They had the shallowest lens pool in mirrorless before last summer, but the deepest native pool for full frame. And now in the full frame race, Panasonic's not out yet and already second in FF. Canon and Nikon fight for last place. Sony all but ignored A-Mount to mzke this happen. Now Nikon and Canon gzve the problem. Of course they both maintain that F and EF are their main business, because that's their income. Do they keep up with DSLR support at the pace its been going, or jump into mirrorless with both feet and alienate DSLR users? Do they keep up the DSLR business if it looks to customers as if they have chosen mirrorless as their future? Or maintain DSLR evolution but risk coming in last in mirrorless, maybe permanently? It will be an interesting ride! A well written analysis that pretty well sums up the advantages and disadvantages of both styles of camera. The camera manufacturers have a vested interest in making the transition as mirrorless models have 20% - 30% fewer parts than DSLRs, so they do cost less to build. 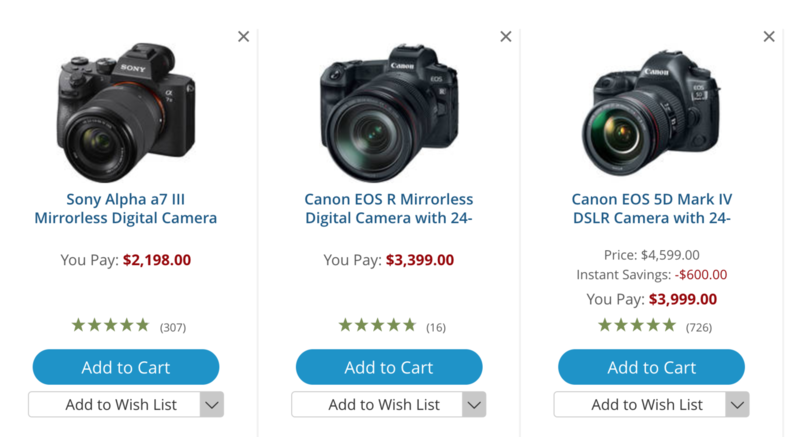 Given the selling price points of current Canon and Nikon offerings, a lot of those savings seem to be going to the camera maker's bottom line, rather than a lower price to the end user. Roger Cicala is 100% right; buying a first (or in many cases a second) generation model is risky because many of the camera's design flaws are not discovered until tens of thousands of units have been produced and tens of thousands of users provide feedback. The lead time on a new camera model is measured over a period of a year or two, so we can be quite certain that the second generation offerings are well into the design phase. Sony is into iteration 3 on its line and now have a mature product. (I'm a retired engineer and spent many decades designing things, so fully understand this process and why it takes time to get things right; design is an iterative process). Finally, I do feel that mirrorless cameras will displace DSLRs over time, much like the DLSR replaced the rangefinder camera many decades ago. There are just too many benefits to both the camera manufacturers and end users for this to not happen.